Like any good, respected pop culture icon, the San Diego Zoo’s giant pandas launched their "farewell tour" of sorts on Saturday – a three-week celebration highlighting their time in the city before they are repatriated to China. The panda party marks exactly three weeks until Bai Yun – the zoo’s beloved 27-year-old female giant panda – and her son, 6-year-old Xiao Liwu – leave the San Diego Zoo, a facility known globally for its successful panda conservation program. San Diego Zoo Global and China have been collaborating for the past 23 years on panda research and conservation of the species. Part of Saturday’s farewell ceremony included the unveiling of a new plaque marking the conservation program. Zoo director Dwight Scott also led Chinese Ambassador Zhang Ping of the People’s Republic of China Los Angeles Consulate on a tour of the panda habitat. 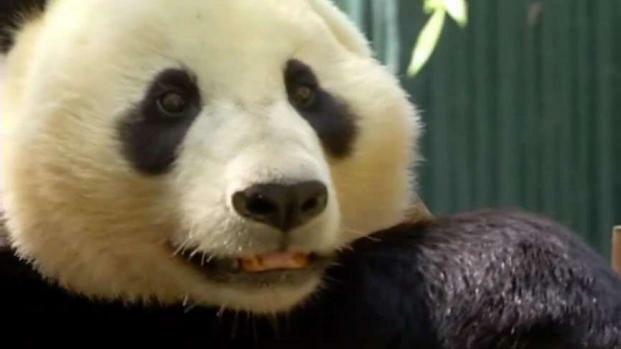 The departure of the giant pandas marks the end of San Diego Zoo Global’s giant panda program. The zoo said in a press release that now comes “the beginning of a new era of panda conservation at the San Diego Zoo,” and the facility is working with their colleagues in China to determine what those future plans may entail. While the San Diego Zoo has said it wants the giant pandas to return to the facility someday, the decision ultimately lies with China. A new agreement would likely center around the next challenge: reintroducing pandas to the wild. The ambassador said he's optimistic. He said on every level, the agreement between China and the San Diego Zoo has been a model of success. "I think the successful story of this project, here at the San Diego Zoo, is that we see a very successful breeding program," Zhang said. "I think it’s a very successful collaboration, and I think because of these kinds of exchanges, people in China also learned about the giant panda. It also helped the Chinese side advance its course on giant panda protection and conservation." For now, giant panda fans have until April 27 to say goodbye to Bai Yun and Xiao Liwu. 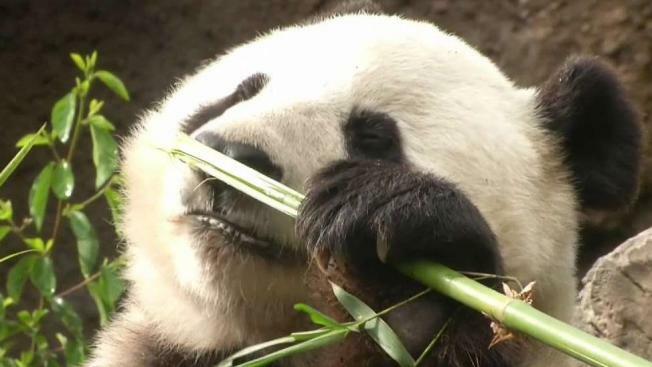 The San Diego Zoo said visitors can show their love for the furry creatures in several ways over the next few weeks, including sharing their memories and hopes for the giant pandas on social media using the hashtag #pandas4ever. There’s also something called the Giant Panda Friendship Wall located across from the Giant Panda Research Station at the zoo’s Panda Canyon. Visitors could buy a commemorative bell from the zoo’s panda shop or grab a free tag and hang either – or both – on the wall as a symbolic gesture of love and appreciation for the pandas and everything they have meant to the city of San Diego. Those who may not be able to make it to the San Diego Zoo to say goodbye to the giant pandas in person can take another approach: watching the Panda Cam on the zoo’s website here. Bai Yun and her son are the last two giant pandas to live at the San Diego Zoo, one of only a few zoos where giant pandas can be found in the United States. Zoos in Washington, D.C, Atlanta and Memphis also have the animals. The news of the departure of the giant pandas came a couple of weeks ago. 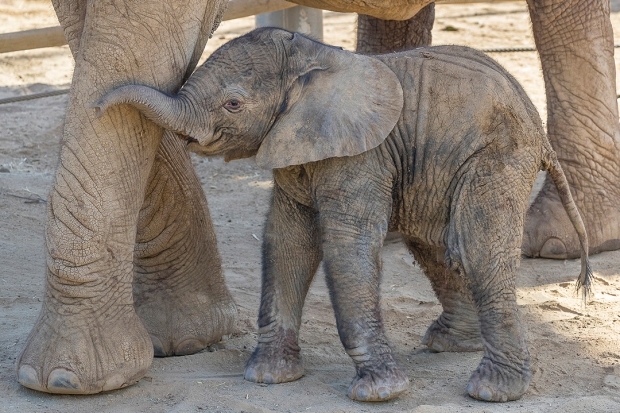 Although it may have been shocking to locals and visitors fanatical about the animals, the move was not unexpected, as a long-term conservation agreement was ending, San Diego Zoo officials said. Meanwhile, longtime panda-keeper Dallas Dumont told NBC 7 on Saturday that the imminent departure of her furry friends still hasn’t sunk in. "For me it's not going to hit me ‘til I come back and see the empty bedroom," Dumont told NBC 7. "So, I think that's when the tears will probably come after they're gone." The zoo plans to keep the panda enclosures intact, ready for a possible return. In San Diego, if you’re a panda, the door is always open.